These are sweep photos of the SX-117 I.F. system. 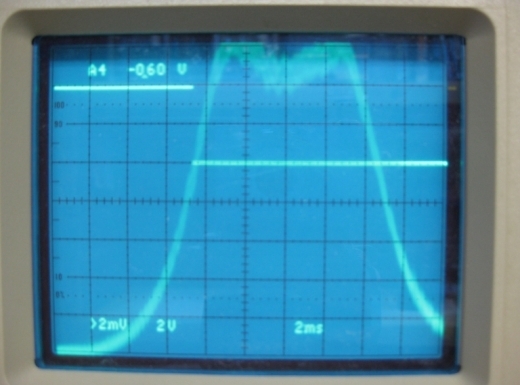 This photo is the selectivity set to .5Kc and the scope trace is 250 cycles per graticule. 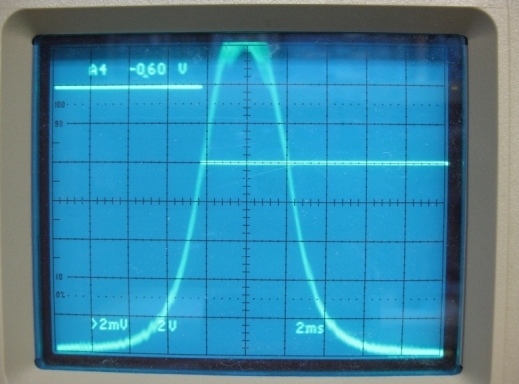 This is a photo of the selectivity set to 2.5Kc and the scope trace set to 500 cycles per graticule.